This was epic! 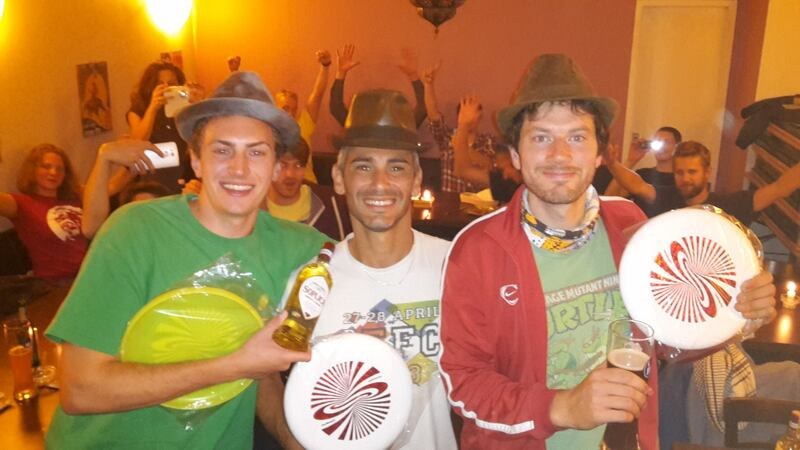 Team Nürnberg rocking the Berlin Jammers and winning the Spring edition. Ilka and Irena playing solid and making a well deserved 2nd place together with Dan and Kolja. This was the 25th Four Seasons Hat Tournament. Under perfect jam-conditions with fair weather and no wind, 22 Jammers gathered to compete for the Autumn hat. Special guests where James Wiseman the current number two in the world rankings and Konrad Patris the Freestyle Ambassador from Poland. We played two rounds of random coop. Find more pictures at Antons blog or Rons Facebook page. 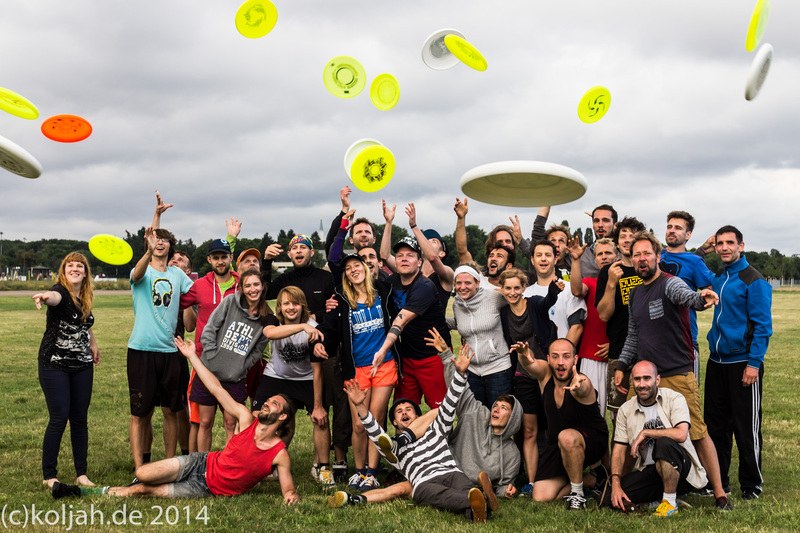 A detailed (German) report can be found at the Homepage of the German Freestyle Frisbee Association. The following table includes the all time rankings of the 123 Four Seasons Hat Tournament. From 2006 to the most recent Edition (Autumn 2013). Points are given according to the FPA point scale for regular events (see http://shrednow.com/rankings/pointscales.html).